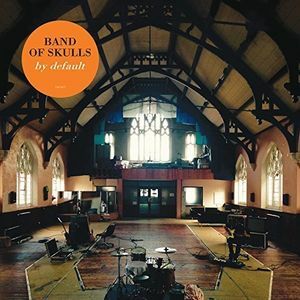 By Default is produced by Gil Norton (Pixies, Foo Fighters, Patti Smith) and recorded in Rockfield Studios. The follow up to 2014’s ‘Himalayan’, the trio – made up of Russell Marsden (guitar, vocals), Emma Richardson (bass, vocals) and Matt Hayward (drums) – took a conscious step back from relentless touring to concentrate on recording the record. Their first studio album, Baby Darling Doll Face Honey, was released in 2009 and since then they have released a total of four studio albums, and two EPs. Their music has been featured in many television programs, video games and movie soundtracks including Friday Night Lights and The Twilight Saga: New Moon Soundtrack.